Is that... A teddy-bear gun...? Things are heating up in the video game industry as the final contestant of this generation is ready to launch this Friday. A handful of titles drops alongside Microsoft's next console and they want to make sure you are pumped up for launch day. Among the launch games is Dead Rising 3, the newest iteration in Capcom's co-op zombie murder franchise that we happen to have a trailer for. The trailer showcases the blatantly crazy attitude found in the Dead Rising games. This is one of those products that takes a look at other games featuring zombies and says that guns and baseball bats are just not enough to combat the zombie menace. Instead, why not weld a buzzsaw to a weed whacker and slice and dice through crowds of undead jerks. Or, if you've got some spare batteries laying around, strap one of those bad boys onto a sledgehammer and crush/electrocute any zombies who are getting up in your grill. No need to break out rifles when you can construct five barreled guns that resemble hands and blast your way through a crowd in style. The crazy bosses, the nonsensical weapons, and the unapologetic insanity is why this franchise is still fresh. I'm excited to see what new stuff they bring to the table with this iteration. Perhaps this is even a title to look at and think "Yeah. That sure is some next gen, alright." 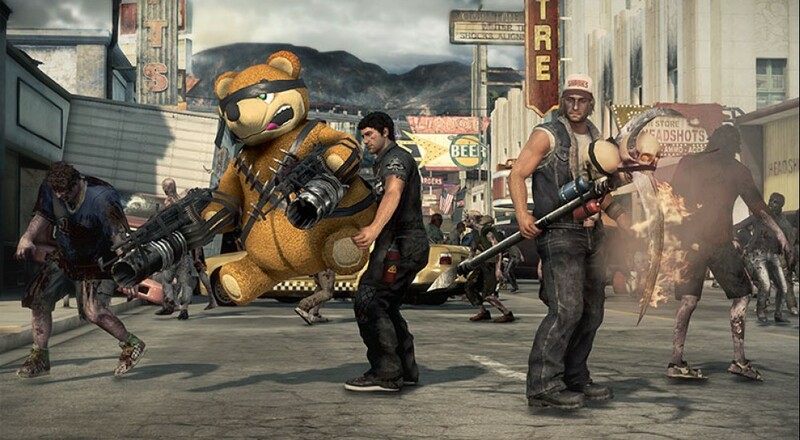 You and your co-op cohort will have plenty of zombie slaughtering to take care of after Dead Rising 3 drops on November 22nd.